"ZG: How did he spend the last 21 years, since he won the Nobel? SN: The first time I saw him was a few months after he won the Nobel, and he was going to a game theory conference in Israel. He was surrounded by other mathematicians, and he looked like someone who had been mentally ill. His clothes were mismatched. His front teeth were rotted down to the gums. He didn’t make eye contact. But, over time, he got his teeth fixed. He started wearing nice clothes that Alicia could afford to buy him. He got used to being around people. He and Alicia spent a lot of their time taking care of their son, Johnny, and doing the things that are so ordinary that the rest of us don’t think about them. Once I asked him what difference the Nobel Prize money made, and he literally said, “Well, now I can go into Starbucks and buy a $2 cup of coffee. I couldn’t do that when I was poor.” He got a driver's license. He had lunch most days with other mathematicians, reintegrating into the one community that mattered to him most. The last time I was with him was about a year ago when Alicia organized a really lovely dinner with us and two other couples. John was talking about all the invitations they’ve gotten and all the places they’ve planned to travel. Johnny was there. He was still very sick. They took him to a lot of the places they went and always tried to include him. Their life was a mix of glamour and celebrity – and the day-to-day which revolved around Johnny, who by then was in his 50s and was as sick as his father ever was and entirely dependent on them." 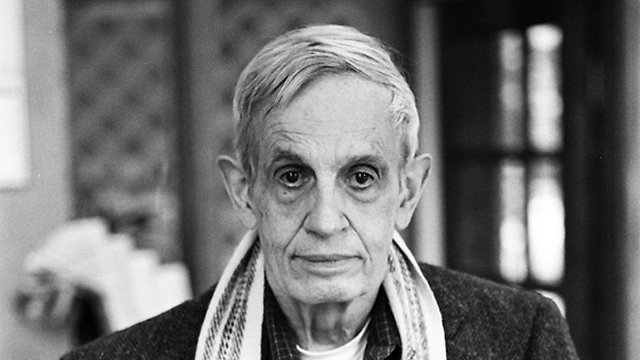 "Indeed, in a 2004 article for the National Academy of Sciences that reviewed the genesis and development of Nash-based game theory, the economists Charles Holt and Alvin Roth noted, “Students in economics classes today probably hear John Nash’s name as much as or more than that of any economist.”"
The auction has a soft close, and as of 6:30 Pacific time, The auction has entered into extended bidding. Please refresh your screen to see the accurate time left for this lot at the bottom of the page. The transcript is below, or you may be able to listen to the audio at the link above. The 1988 Nobel Prize in Physics, awarded to particle physicist Leon Lederman for his discovery of the muon neutrino, a particle 200 times the size of an electron. Lederman, along with colleagues Melvin Schwartz and Jack Steinberger, found the muon neutrino in 1962 while using a high energy particle accelerator. They discovered that in some cases a muon (rather than an electron) was produced, illuminating the existence of a new atomic particle. 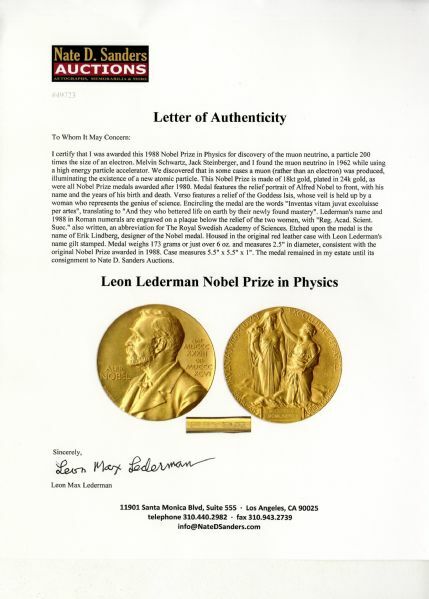 Lederman was also instrumental in the discovery of the bottom quark in 1977, and was the champion of the Superconducting Super Collider. His popular 1993 book ''The God Particle: If the Universe is The Answer, What is The Question'' was released to critical acclaim. 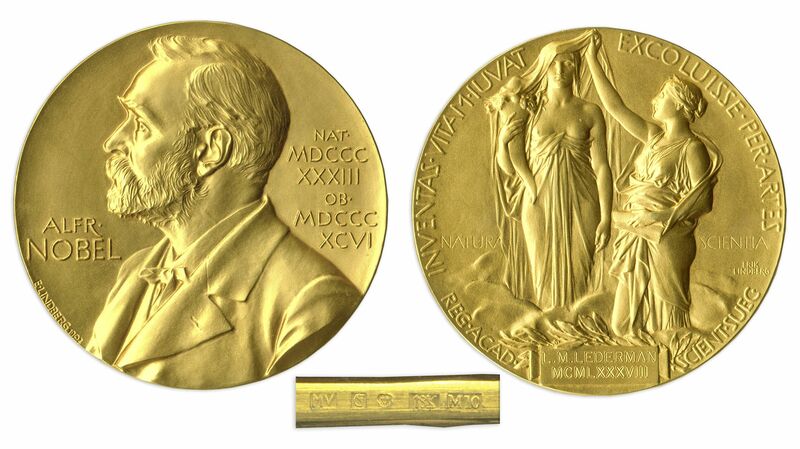 This Nobel Prize is made of 18kt gold, plated in 24k gold, as were all Nobel Prize medals awarded after 1980. 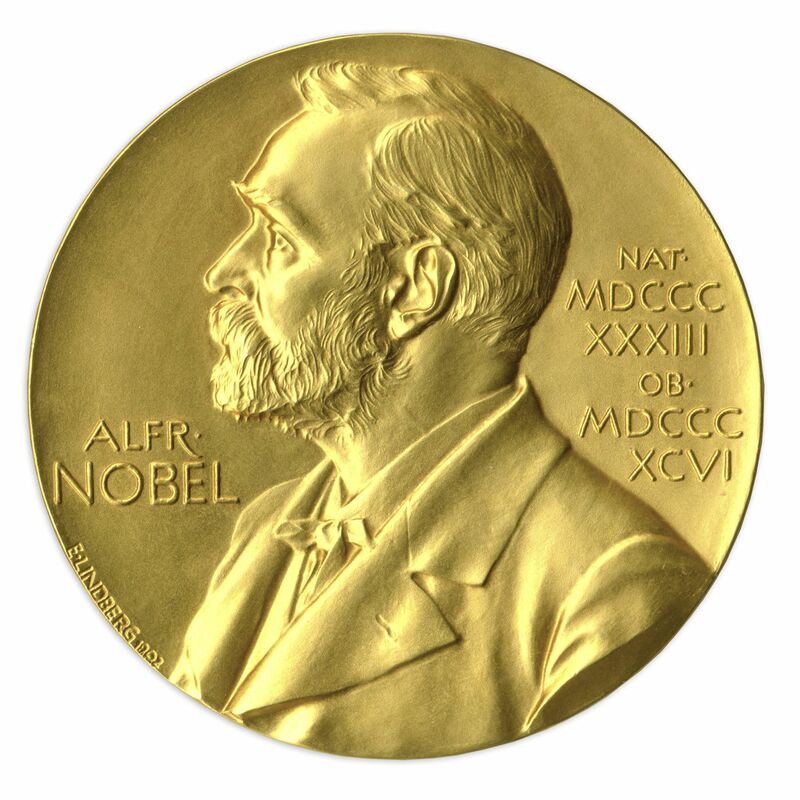 Medal features the relief portrait of Alfred Nobel to front, with his name and the years of his birth and death. Verso features a relief of the Goddess Isis, whose veil is held up by a woman who represents the genius of science. 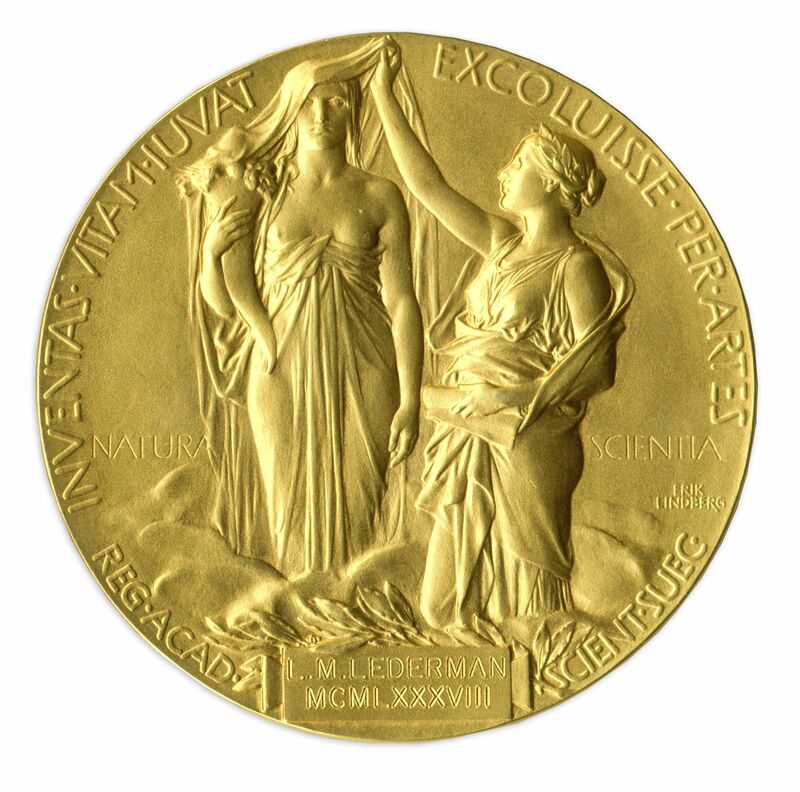 Encircling the medal are the words ''Inventas vitam juvat excoluisse per artes'', translating to ''And they who bettered life on earth by their newly found mastery''. 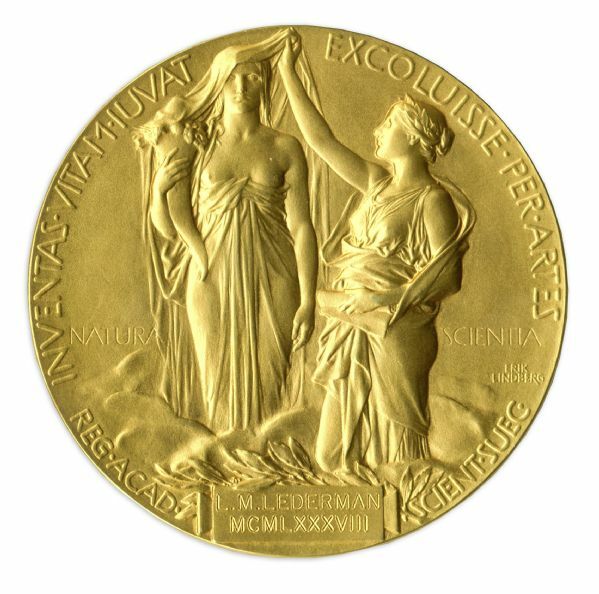 Lederman's name and 1988 in Roman numerals are engraved on a plaque below the relief of the two women, with ''Reg. Acad. Scient. Suec.'' also written, an abbreviation for The Royal Swedish Academy of Sciences. Etched upon the medal is the name of Erik Lindberg, designer of the Nobel medal. 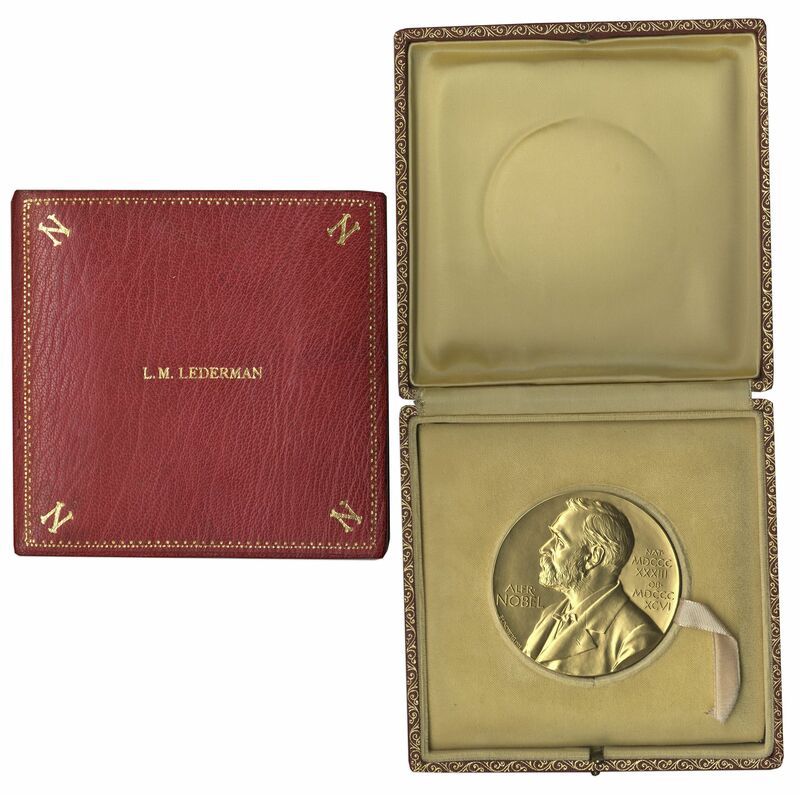 Housed in the original red leather case with Leon Lederman's name gilt stamped. Medal weighs 173 grams or just over 6 oz. 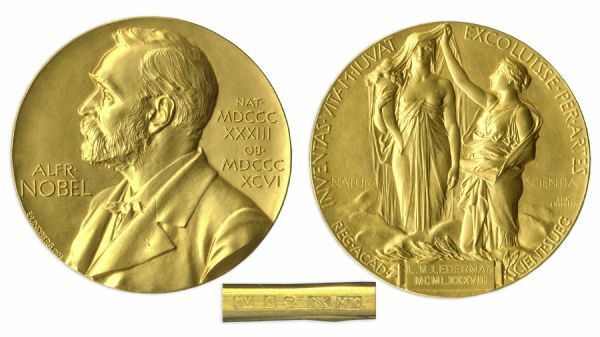 and measures 2.5'' in diameter, consistent with the original Nobel Prize awarded in 1988. Case measures 5.5'' x 5.5'' x 1''. Presented in near fine condition, and with an LOA from Leon Lederman. A jury composed of Claude d'Aspremont (chair, President-elect of the Society for Social Choice and Welfare), Vincent Conitzer, Bhaskar Dutta (President of the Society for Social Choice and Welfare), Marc Fleurbaey and Tim Roughgarden has chosen to award the height Social Choice and Welfare Prize jointly to Fuhito Kojima (Stanford University) and Parag Pathak(MIT). The purpose of the Social Choice and Welfare Prize is to honour young scholars of excellent accomplishment in the area of social choice theory and welfare economics. The laureate should be 40 years or less as of January of the year when the International Meeting of the Society for Social Choice and Welfare is scheduled to take place. During this meeting, the prize winner(s) will give a one-hour lecture. The SCW prize medal "La Pensée" ("The Thought") is due to Raymond Delamarre (1890-1986), a rather well-known French sculptor associated with what has been called "Art Deco" (Chrysler Building and Empire State Building in New York, the architects Mallet-Stevens or Le Corbusier in France). He is in particular famous for his work at the entrance of the Suez Canal. A web site: www.atelier-raymond-delamarre.fr. Nash was definitely one of the giants of game theory, writes Israeli Nobel laureate Yisrael Aumann, and the science world will miss him. "I am so sorry to hear of John Nash's death. I have known John for more than 60 years. I met him in 1953, when he was a young lecturer who had just started teaching at the university and I was coming to the end of my doctorate. He was the one who first introduced me to game theory. He is my first mentor and teacher on the subject. The truth is that I didn't give the field much thought at the time because I was busy with pure mathematics. Later, however, when I moved to a performance studies consulting firm, I encountered a difficult problem and then I realized the importance of game theory – and I recalled my conversations with Nash. John Nash is definitely one of the giants of game theory, which is an important tool in economics and numerous other areas. He invented it, the key concept known as "equilibrium strategy;" and not only did he found the field, but he was also a game-theory giant. And he was also one of the first to receive a Nobel Prize for game theory. It was in 1994, and he shared it with two others. I am shocked to hear of his death. In recent years, we met at least once a year at international conferences. He knew a lot – not only about mathematics but about everything, and you could talk to him about what is happening in the world. Nash came to Israel in 1995, on my 65th birthday, which took place at the Tower of David in the form of a celebration and conference. It was a year after he received the Nobel Prize in Economics. The science world and I will certainly miss him." John and Alicia Nash have died in a car accident. "Our guest on this issue of The Bridge is Ali Hortacsu, Ralph and Mary Otis Isham Professor of Economics, University of Chicago. 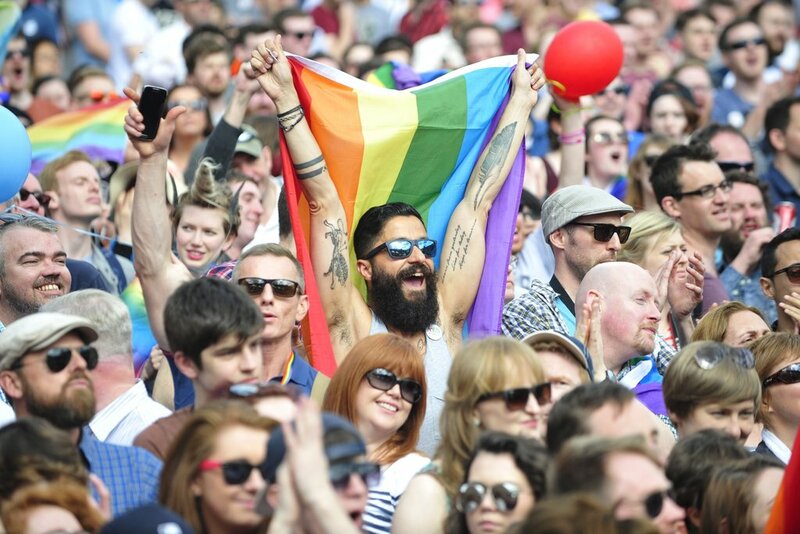 The Bridge : Could you please give us a brief summary of your background? Ali Hortaçsu : I was born in Istanbul in 1974 and grew up near Boğaziçi University where my parents are (emeritus) professors of chemical engineering. I went to Robert College for secondary school, and attended Stanford University, where I got my B.S. and M.S. in Electrical Engineering and my Ph.D. in Economics. I joined the University of Chicago Department of Economics as an assistant professor in 2001. I am currently the Ralph and Mary Otis Isham Professor of Economics there. T.B. : Could you also summarize your studies/research? A. H. : Most of my research falls under the rubric of "market design." Most economists believe markets are a wonderful method of allocating scarce resources and facilitating exchange. However, we know of many conditions under which markets can fail miserably; especially when market participants have incentives to strategize around the stated rules of the marketplace. What is needed, then, is a well-thought out re-writing of the "rules of the game" that takes into account the fact that many market participants are highly rational, strategic actors who will understand and game the system. How should we go about designing such rules? There is now an elegant and extremely well established body of theoretical knowledge on this topic, starting e.g. with the work of my Nobel winning colleague Roger Myerson. What we have learned over time, however, is that theory does not always give sharp answers as to what to do; the specific parameters of the particular system we are analyzing matters a lot. What I have tried to advance in my research is a "data driven" approach to market design, in which we utilize very detailed data from existing markets, estimate the relevant parameters using econometric/statistical methods, and simulate the parametrized behavior under a slew of alternative market rules to arrive at improved market designs. My collaborators and I have utilized this framework to help guide the design of many real world markets, including electricity markets, financial markets, online auctions, and even Internet matchmaking sites. I am also happy to see the econometric and simulation methods I have developed being used in many exciting applications in this domain. T.B. : Where do you see studies of your area of specialty in Turkey? What are your suggestions to improve the research in Turkey in this area? A. H. : "Market design" has a long and distinguished history in Turkey, especially with the theoretical work of Murat Sertel, Ahmet Alkan, and Semih Koray. Tayfun Sönmez and Utku Ünver, who are also pioneers in this area, did much of their trailblazing research while they were colleagues at Koç University. Although the tradition of market design research is very strong in Turkey, I think improving collaborations between theoretical researchers and market operators would be very beneficial from both the applied and scientific point of views." My book, Who Gets What — and Why: The New Economics of Matchmaking and Market Design isn't due to be published until June 2. But there are already some reviews, from commercial reviewers (Kirkus Reviews), from crowd sourced reviews from Amazon, and at least one of what looks like a bootleg review from someone writing for Newsweek Europe, who may have ignored the label on the boxes of books warning folks to respect the June 2 "publication date" (the books will be in stores by then, so they are floating around). "Amazon Vine invites the most trusted reviewers on Amazon to post opinions about new and pre-release items to help their fellow customers make informed purchase decisions. Amazon invites customers to become Vine Voices based on their reviewer rank, which is a reflection of the quality and helpfulness of their reviews as judged by other Amazon customers. Amazon provides Vine members with free products that have been submitted to the program by participating vendors. Vine reviews are the independent opinions of the Vine Voices. The vendor cannot influence, modify or edit the reviews. Amazon does not modify or edit Vine reviews, as long as they comply with our posting guidelines. A Vine review is identified with the green stripe Customer review from the Amazon Vine Program." Alvin E. Roth, Nobel Prize laureate in economics has written a comfortable and conversational book explaining complex concepts of market design for the lay person. A more apt title, I think would be Problems, Challenges and Solutions in Market Design or Marketing Design for Dummies. “Who Gets What and Why” makes this book sound simple. It is not. It is also not for every casual reader with a mild curiosity. Dr. Roth defines and explains the new economics of market design which he says brings science to matchmaking. He shows how market design helps solve problems that existing market places haven’t been able to solve naturally. The author discusses his design of clearing houses for markets that are not commodity markets like: the kidney exchange; the medical labor market; new labor markets for Ph.D.s in economics and school choice systems in New York and Boston. Thick: Those with enough potential transitions available at one time. Congested: Enough time for offers to be made and/or accepted or rejected. (and) Safe to participate in. He defines matching markets where one can’t just choose, but must also be chosen. He gives concrete examples to explain his concepts like attributes of three different kinds of restaurants. He discusses design inventions to make markets smarter, thicker and faster. This book is detailed. It reads like Dr. Roth has taken pains to be clear about those details. For more in dept discussion of market design you can watch Dr. Roth’s lecture at Stanford University on the web. The 2015 RES-York Symposium and Mini-Courses on Game Theory, the 6th of the series of York Annual Symposium on Game Theory, will be held on 21-23 May 2015 at the Department of Economics and Related Studies, University of York, UK. The event is organised by the Micro Theory Research Cluster at the Department of Economics and Related Studies (DERS), University of York, and is jointly supported by the Royal Economic Society and the departmental Research Impact Support (RIS) Fund at DERS, University of York. 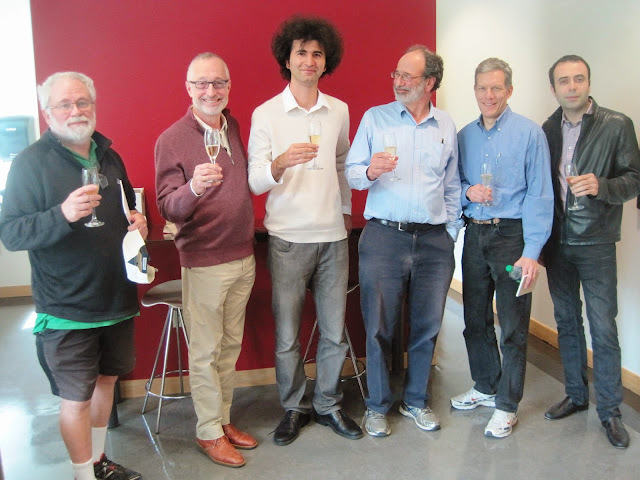 Right after the Symposium, on Saturday 23 May 2015, we will run two mini-courses delivered by Professor Bhaskar Dutta (Warwick) and Professor Michael Ostrovsky (Stanford), respectively. Professor Bhaskar Dutta will deliver a mini-course on "Games on Networks". Professor Michael Ostrovsky will deliver a mini-course on the topic "Matching in Trading Networks". The background reading can be downloaded below at this webpage. The schedule on Saturday 23 May 2015 is as follows.